A new year means a fresh start. A fresh start means an opportunity to upgrade your marketing efforts and get your branding in front of your audience. We have some easy ideas on how your business can make the most of your marketing budget in 2015. Product Packaging: The first function of packaging is to contain or protect the actual product. The second function is to attract buyers. 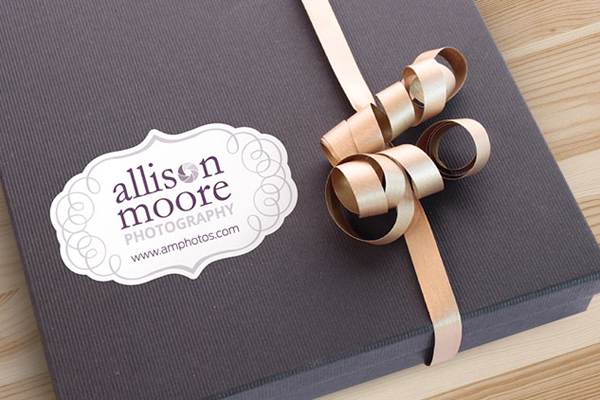 The appearance of your packaging is what incites interest in your target audience. A beautiful product label can be a differentiation feature which helps your product stand out from competitors. It also increases confidence in the product itself, and helps to portray important information about the product. Shipping Packaging: If you run an e-commerce company or are shipping products or information to clients, then you have an excellent opportunity to create a even stronger connection with that customer. Building strong relationships with customers is important because it helps build brand loyalty. Add a personal, fun message to every package leaving your facility. We recommend adding a vinyl sticker to the front of all packaging that say something along the lines of "Just for You!" or "Something Awesome Inside!". Small details like this do not take a lot of effort and can go a long way. Swag Products: If you exhibit at trade shows or conferences, it's no surprise to you that attendees expect swag. It is the incentive to bring them to your booth or table to learn more about your business. Most swag products are lost cost and, as a result, low quality. They will end up lost or discarded. Give away a swag product people may actually use. Not a notepad or pens. Custom stickers. Funny or cool looking custom stickers get used. Meaning your target audience will stick them up somewhere they, and other people, will see it. Thus they become a brand advocate for your company with out actually having to speak your praises. Event Branding: If you are attending a party, a launch event, a promotional event, trade show, etc. These are all opportunities for you to spread your branding around. Custom temporary tattoos are the perfect way to brand yourself and your colleagues without actually having to wear a uniform. temporary tattoos are fun, and not entirely ordinary, which means they get noticed and work great as icebreakers. You can even carry around a pack of the temporary tattoos to give away, which turns your audience into walking billboards for your brand. Equipment Branding: If you are using equipment or electronics at an event, trade show or even if you have a lot of customers visit your office, it helps to have everything branded. This will make your company look more legitimate and give your customers confidence in your capabilities. With custom die-cut vinyl stickers, you can quickly, and affordably brand all of your products, for short term or longtime use. Vinyl stickers have a high quality shine and are durable, but they can also be removed easily without damaging any of your equipment. This makes them great for branding the backs of smartphones, laptops, desks and more. With a little creative thinking, and the help of StickerYou's custom stickers and labels, you can take advantage of some cost effective branding tricks that will help increase your brand reach and visibility to your customers and target audience.